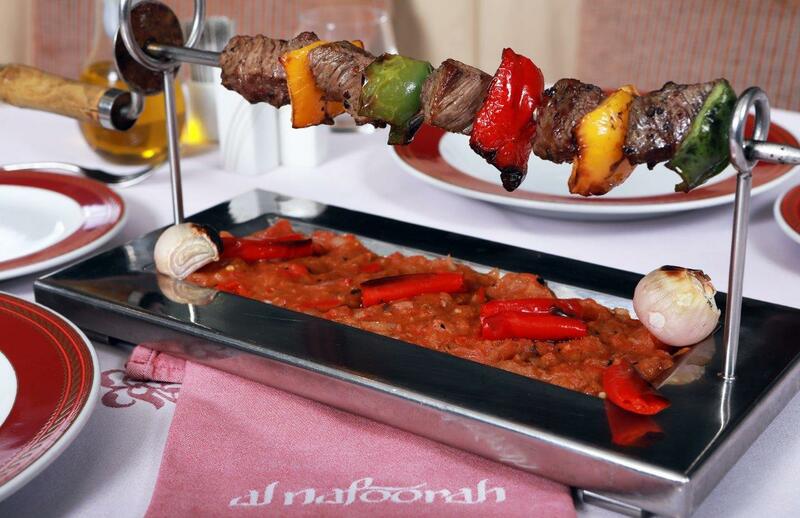 Named after the Arabic word “fountain”, Al Nafoorah Dubai offers an experience that goes far beyond your typical Lebanese cuisine. 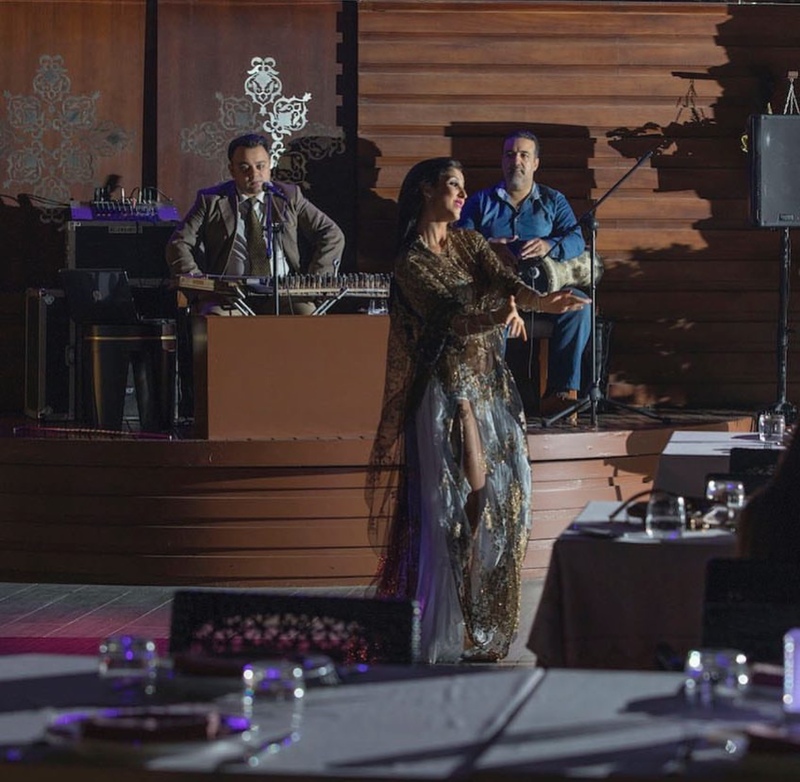 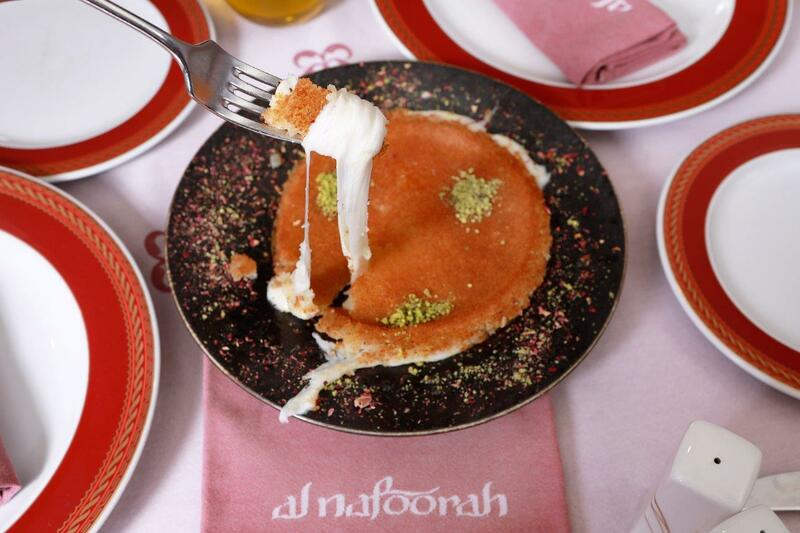 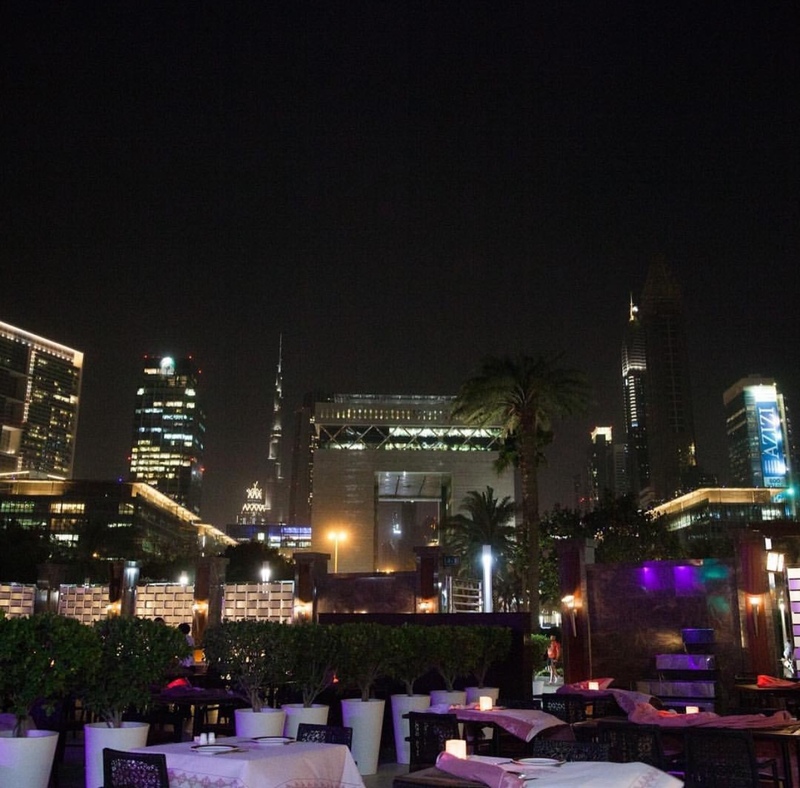 The restaurant has long enjoyed a reputation of serving the finest and most authentic Lebanese food in Dubai and the live entertainment shows makes this restaurant a must-visit for guests. 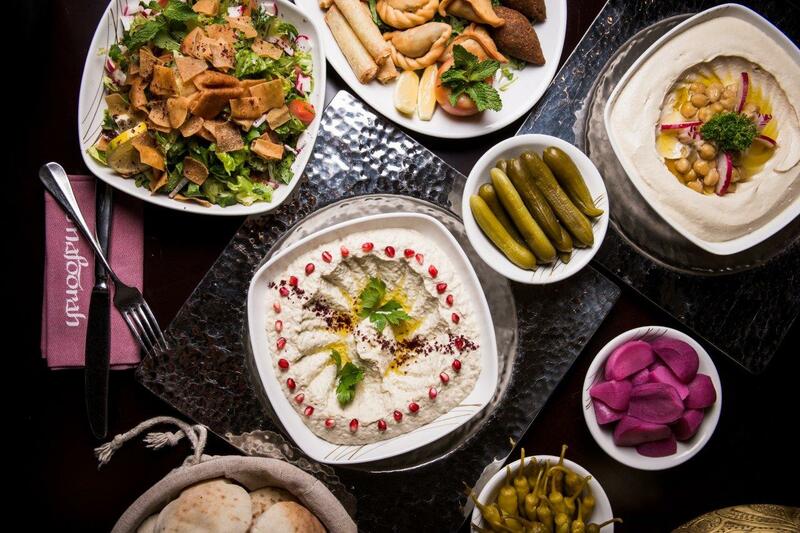 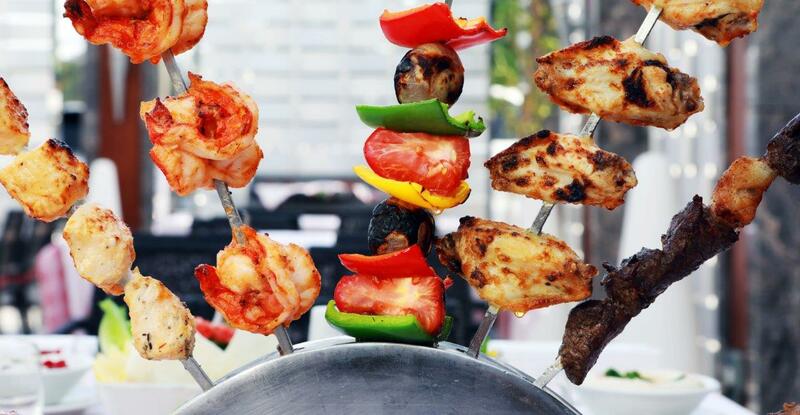 Nestled in Jumeirah Emirates Towers, diners can experience a true taste of Lebanon, with an extensive array of traditional dishes, including mezze, shawarmas and mixed grilled meats. 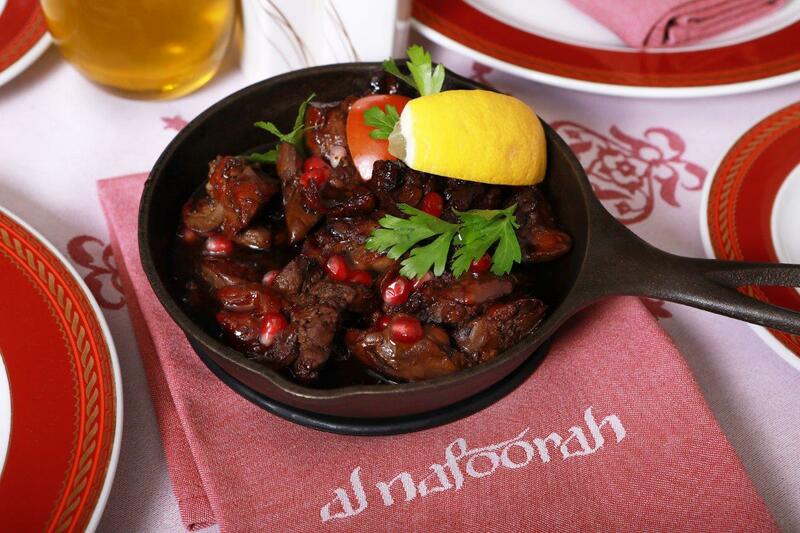 Adorned by high ceilings and dark wood carvings, gentle Arabic music and breath-taking al fresco views, Al Nafoorah brings together the natural beauty of Dubai and traditional dishes cooked with care and served family-style. 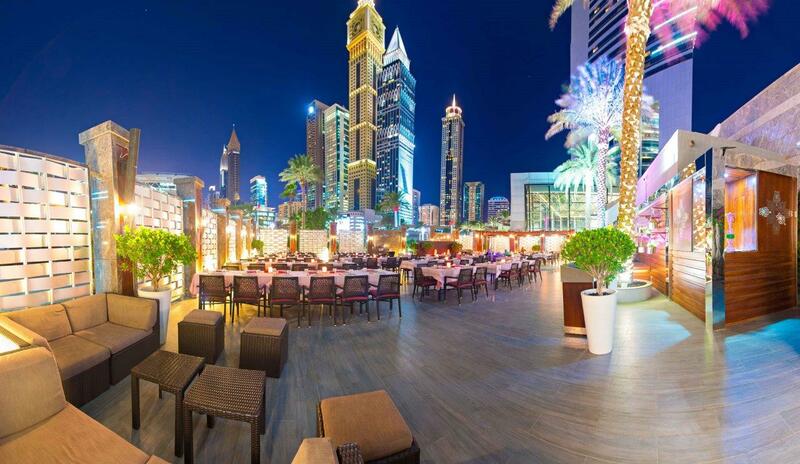 The restaurant also offers a secluded spot with a fabulous terrace view, making it the perfect setting to enjoy a quiet lunch or dinner. 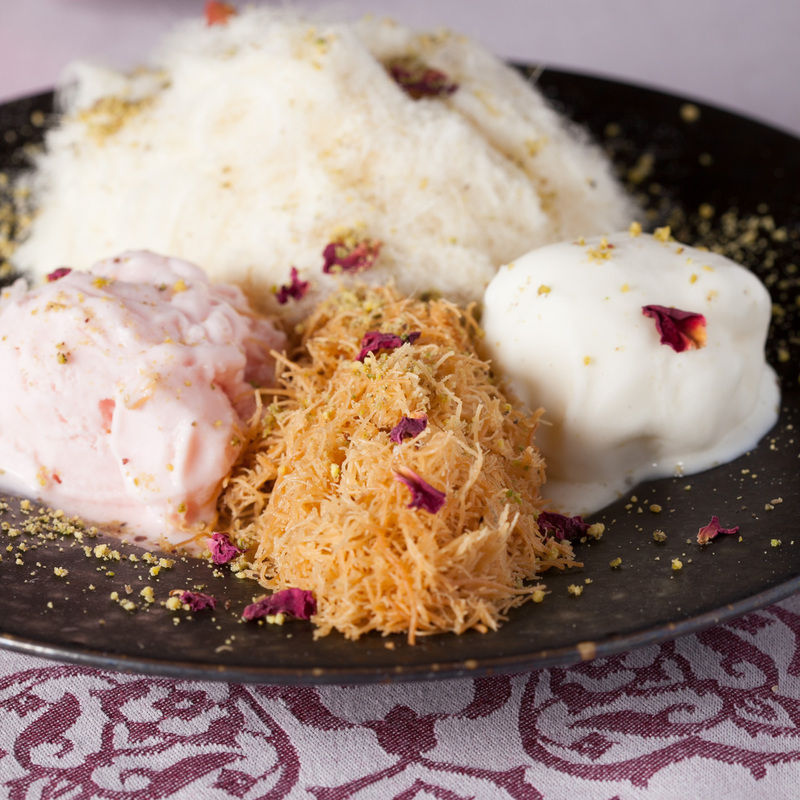 End your meal with one of the restaurant’s delicious desserts and enjoy the panoramic views of Dubai a little longer.